I have recently found Etsy, an artist marketplace that is bursting with wonderful goodies....here is one of my recent discoveries. 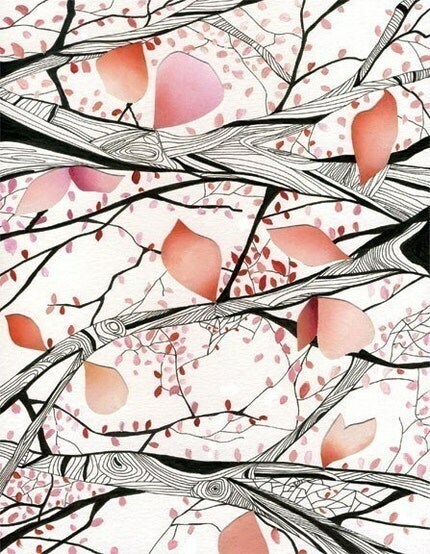 Dan-ah Kim, an artist with a wonderful eye and interesting perspective. Her illustrations remind me of the Japanese woodblock prints that have inspired artists like Van Gogh and Mary Cassatt (and countless others)...with a twist of modern day life in New York City. Wouldn't a series of these look beautiful in a crisp black frame with a dramtic wide mat? I love these pieces. They are so fresh and whimsical. Thanks for sharing this artist.